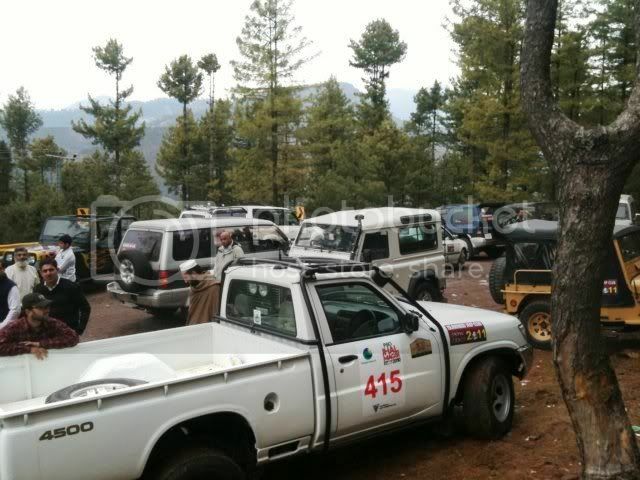 As u all know that Islamabad Jeep Club arrange Snow Cross every year. 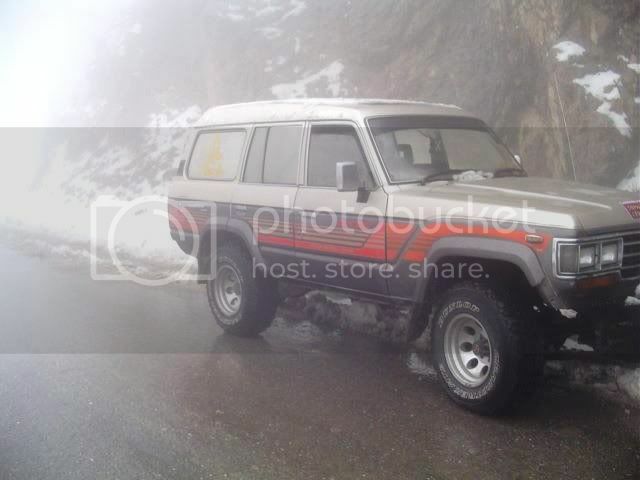 This is the third consecutive year we have arranged our Snow Cross 2011 on Sat & Sun 5 th & 6 th Feb.
4X4Engaged friends were busy cas they had a wonderful event last sunday at Maalam Jabba. 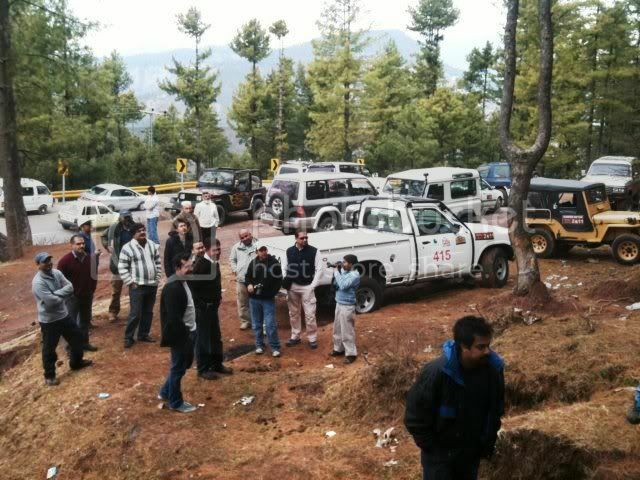 We met MJC at Guldanna near Murree & met Offroader Unlimited at Nathiagali. 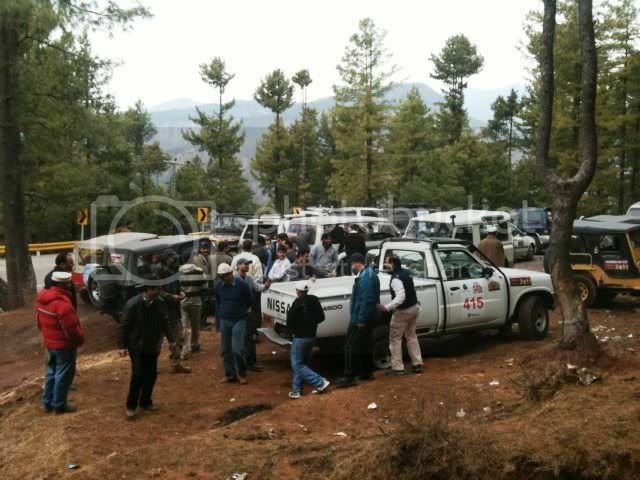 PLRC members joined us at Islamabad.ORAD member met us at Nathiagali. 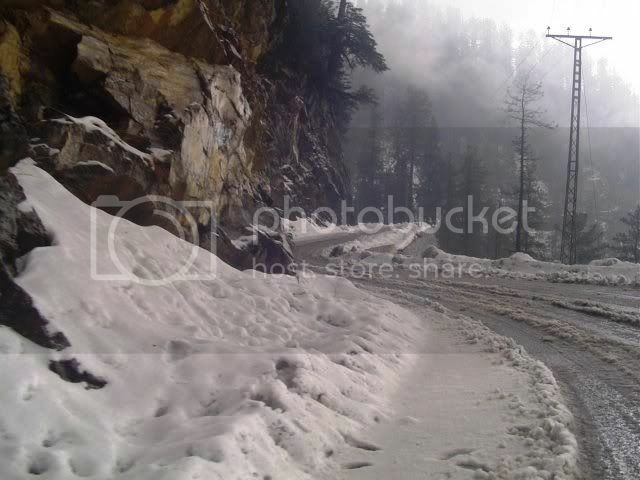 Surprisingly when we reached Nathiagali there was not much Snow but at midnight there was Snow Storm which covered everything in Nathiagali. We thoroughly enjoyed Snow. Had excellent BBQ at our rest house. Missed all the friends who couldn't make it due to their personal matters. Well, what a lovely trip once again with IJC. For some of us it was B___ freezing 2nd weekend on the trot! The weekend started with typical IJC punctuality (reading lazy sleepy heads). Met several new faces while waiting for the gang to gather-up. The planned start of 9am didn’t materialize till 10:45. And as if we weren’t late enough, I managed to get caught by traffic police for not giving way to other vehicle on the roundabout. Ali who was behind me, promptly stopped ahead of me, and I thought he was going to try to help me get off without fine, but all he did was stand next to his car and started smiling n clicking his camera to capture the episode! 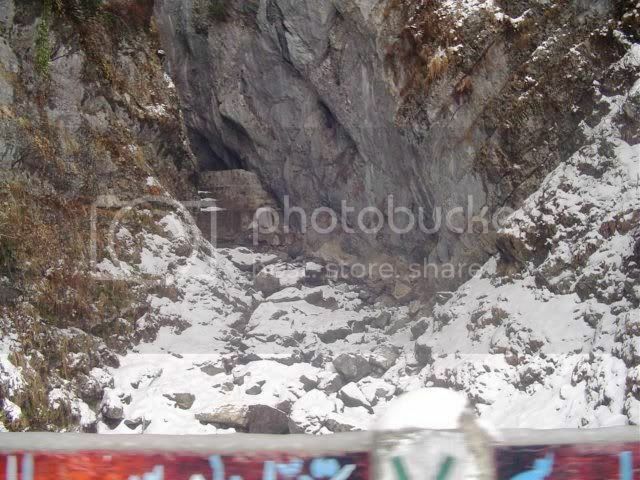 Eventually our journey started again, things seemed to progress fine, until heard several people shouting on radio……. Asad Bhai stop, you are leaking…………..PETROL. The fuel tank pump/pipe connection became lose and it was dripping petrol quite heavily. He was than towed by Cotec’s Amazon till next mechanic shop where it was eventually sorted out with some jugaar! Since I have bought my pickup, I am thinking of starting a transport business On the way I gave lift to various people upto various destination. 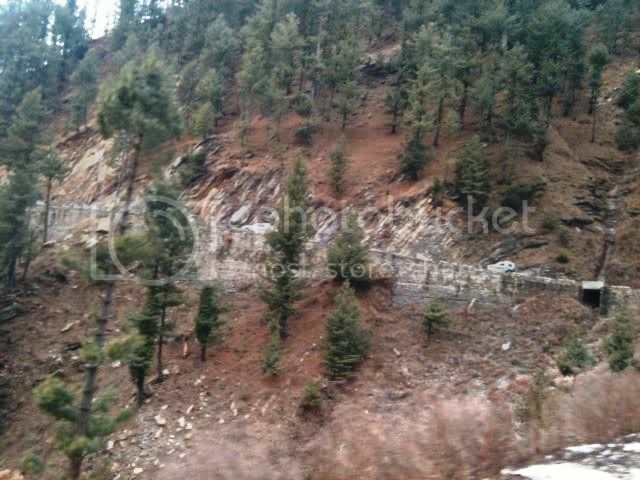 Funny thing was, two elderly ladies to whom I gave a lift, had called a friend further up the road to wait and than banged on my window and told me I should stop for their friend at charra pani, so they could go Murree together. Their friend was indeed waiting by the roadside for us. On the way Aamir Bhai even gave the extra "Anday Pakoray" to my free loader passengers! 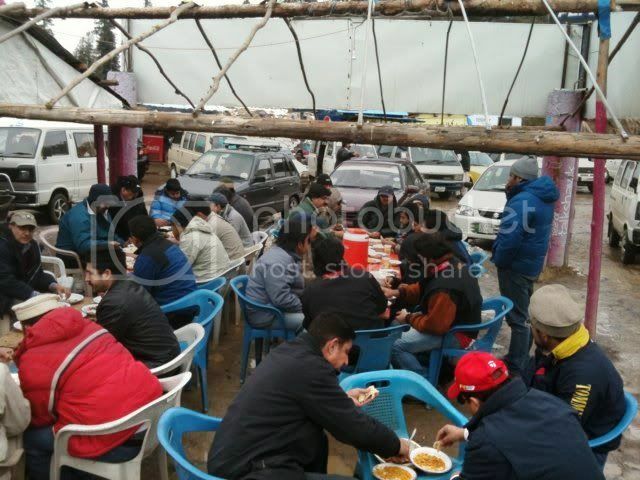 Next stop was Changla Gali for a heart lunch of Murgh Karahi and nice chit chat session. 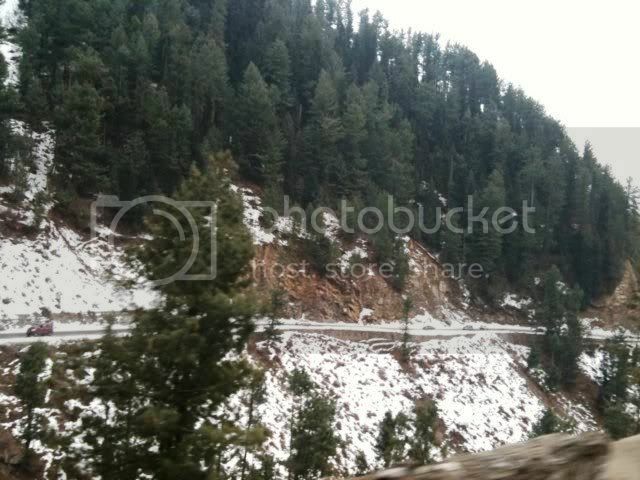 Later on we moved to Nathiagali, and saw the beautiful mountains on each side covered with plenty snow. Couldn’t take much snaps as was driving and alone in NPP. 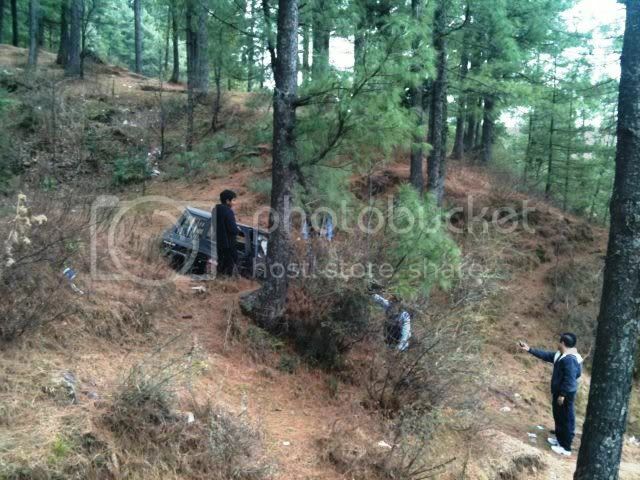 At Nathiagali we went straight to rest-house to check accommodation. Later after dumping our stuff there, left for some snow driving. Managed to find a nice uphill twisty section with plenty ice/ slush/ snow where had great fun with drifting / power sliding. Did two runs, with Ali and later again with Zohaib and Hasan sitting out in the open dala. The snow drifts were crazy……..….becoming a bit too crazy (read scary) on couple of occasion! Apart from the drifts, NPP acted as recovery vehicle as well, pulling out no less than 5-6 different stuck vehicles! Was very pleased with the performance of NPP, the traction was fairly good considering it is without MT tyres! After returning back to the rest house we watched the pics from last weekend’s Malam Jabba trip on the projector. And than the most awaited BBQ started and everyone just pounced on the delicious tikkas courtesy Zeb! The BBQ session went on for long! 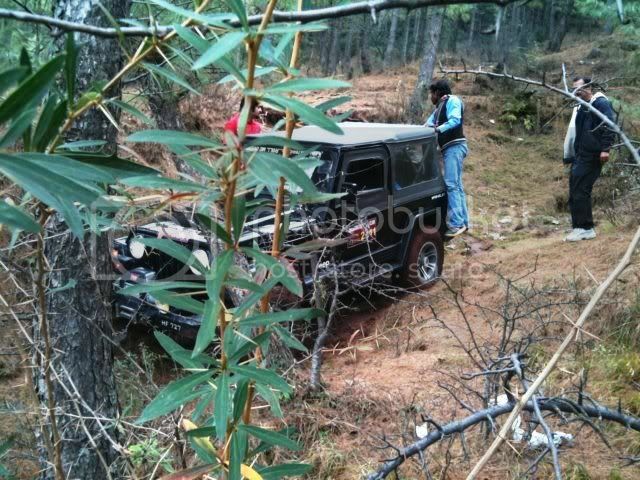 We had a little bit of fun later…………..when temp outside dropped below freezing and Jeepaholic's safari (parked on slope) started sliding down on ice towards the ditch by itself!!!! Everyone just jumped and we tied a tow strap to it attached to NPP. Finally with the help of several people push we managed to park it on flatter surface. The temp was dropping fast and was well below freezing and finally everyone hit their beds! Somehow I woke up at 4am and could go back to sleep, when I looked out the window it was snowing. I went out and sat in porch enjoying the lovely snowing, which was intermittently fairly heavy. The snow had covered everything around us, leaving no trace of any tracks etc through which we had come! It was one of the most peaceful and beautiful moment for me. The snow was falling in complete silence and only a gush of wind would break that. I did capture few snaps at the time, but taking hands out of gloves even briefly really numbed the fingers too much. The rest of the gang gradually started to wakeup and by 9am almost all were up. Following a hearty breakfast of eggs, everyone started packing their stuff. The rest-house track was rather steep and with so much overnight snow it was decided that to put on the snow chains. Parapilot as usual used a snow rope for Lazzaz! 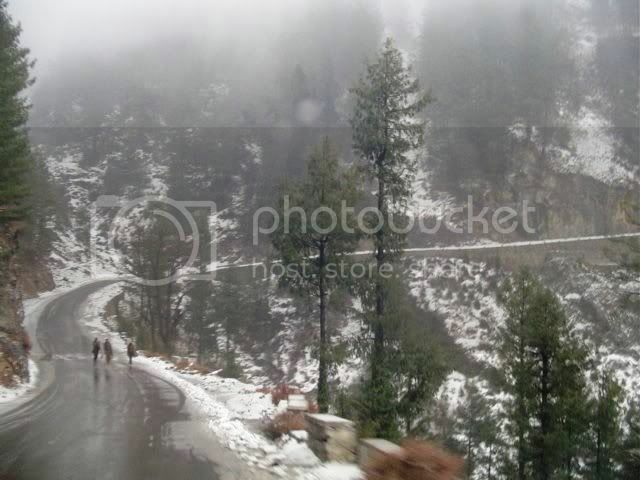 The short drive back to main Nathiagali bazaar was gorgeous with complete snow covered surrounding. The journey back was slow because of some intense fog patches and dense low clouds! Lots of traffic was also encountered on the return journey. 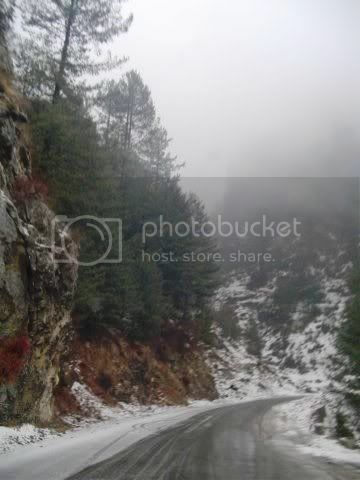 Due to prior commitments I drove direct back to ISB from Nathiagali, while the rest had a break on the way for lunch etc. Finally, special thnx for all my IJC partners in crime! Bless u all! That looks like some great country to be 4wding in. Thanks for your regular posts, I find them interesting as I love seeing countryside in different countries.